Are Seven-Inch Tablets the New Sweet Spot for Tablet Buyers? Amidst this year's sea of tablets, I've seen only a smattering of 7-inch models released since Samsung first broke the ice with its 7-inch Galaxy Tab last fall. Now, with the expected announcements of two more 7-inch models coming soon--this time from major manufacturers Acer and HP--that smattering of small tablets becomes a bonafide stream. Acer is rumored to be offering its A100 this month. Meanwhile, HP has been mum on the details of its next tablet following last month's debut of the 9.7-inch TouchPad, but word of its 7-inch TouchPad Go has just surfaced in FCC filings. These two models join the 7-inch HTC Flyer, the HTC-manufactured Sprint Evo View 4G, the original and Wi-Fi-connected Samsung Galaxy Tab, and the RIM BlackBerry PlayBook. The potential arrivals of two new small tablets from major manufacturers give new weight to the so far little-noticed 7-inch tablet market. Compact tablets--already very popular among low-cost tablet makers--are getting ready for the next battle for would-be tablet owners’ dollars. The majority of 7-inch tablets we've seen apart from those mentioned above have come from second- and third-tier manufacturers, who--eager to join the tablet stampede--have done so with “bargain” tablets. The news that more top-tier manufacturers are dipping a toe into the 7-inch waters gives credence to this nascent tablet category. I expect to see even more 7-inch models hit with the arrival of the 3.2 update to the Android Honeycomb operating system, which adds support for additional screen sizes, including those that measure 7 inches. The big question is whether there's room for 7-inch models to coexist with the wildly popular (largely because of Apple's iPad) 10-inch class of tablets. The answer: Absolutely. But not for the obvious reasons. Price, the primary driver of sales, is, of course, one inescapable factor. Clearly, a 7-inch tablet can sell for less than a 10-inch tablet, making the tablet more accessible to a wider range of users. But it's not only about price. Functionality also will play a big role. The 7-inch tablet design is more portable than the larger, bulkier screens of 10-inch class tablets. In my experience, I've found 7-inch tablets easier to hold and less obtrusive when I'm using the tablet in a meeting or in a public environment. Even for casual use while on an airplane, I found I preferred the compact nature of the 7-inch to a 10-inch. The obvious comparison here is that a 7-inch tablet is akin to a paperback book, while a 10-inch tablet is akin to a hardcover edition. Neither is “right” per se, but each will be used according to personal needs and preferences. 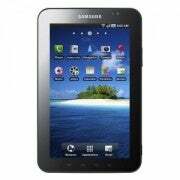 For 7-inch tablets to succeed, though, they will have to be able to get past the barrier of software compatibility. I see this time and again: Device innovation outpaces mobile app development which, in turn, has led to less than optimal presentation of apps on different screen sizes. The app presentation in question has to do with layout and graphics resolution. Apple is ahead for now on this issue because its operating system, iOS, has just two screens to support (those of the iPhone/iPod and the iPad). That’s also true for RIM’s BlackBerry PlayBook tablet. But HP’s WebOS may have scaling issues (we’ve seen a bit of this already while using apps designed for a WebOS phone on the big screen of the TouchPad tablet, where apps designed for the phone looked horribly pixellated when scaled to the tablet). And Android-OS-based tablets are in chaos, with Android 2.1, 2.2, or 2.3 on many 7-inchers, and now Honeycomb 3.2 coming soon. How much of the chaos will be fixed by the introduction of Google's next-gen operating system, Ice Cream Sandwich, remains to be seen when that OS arrives later this year.